Poll: Which best describes your realistic expectations for Foles in 2019? I expect to be disappointed in his performance. Since several posters have been expressing that various takes on what this fanbase actually expects from Foles - here's a poll so we can be clear on the matter. Also - it's been said by many that anything less than playoffs makes his signing a failure. Well, if the team is generally a bit more healthy than last season, I think that's fair. But this poll is not about what "should" happen, but what you expect to actually see from the new QB. I expect what he has always been. Average to poor play with an occasional WOW moment. I obviously hope for better being a Jags fan but certainly do not expect it unfortunately. Poll is up now -- had a glitch while posting it. I voted as in my expectations of the type of move signing a high priced FA QB signals. Anything less than playoffs is a bust imo. So playoff appearance. It has to be about more than just being better than Borts. And I don't think we're in Superbowl or bust mode just yet. Not until we're at real risk of losing defensive talent to free agency. (04-17-2019, 12:53 PM)Kane Wrote: I voted as in my expectations of the type of move signing a high priced FA QB signals. That was specifically not the question, but whatever. it either goes 2 ways he is every bit the QB everyone thought or he is the bench warmer he has been most of his career. My concern is he is not as moblie or fast as blake was and will end up getting hit a lot. Perfect thread. I say Playoffs or bust. If we aren't in the playoffs then it was a waste and a virus to our roster. I'm looking at somewhere between a 7-9 and 9-7 record. Better than what we would've had with Bortles, but not quite good enough for the playoffs. Right now, Indy is loaded. Especially if they add a NT and a complimentary receiver to T.Y. Hilton. If Houston strengthens their O-Line in the draft, they will be tough as well. I don't really expect much since Skip Bayless and one of my friends (who always predicts the opposite of what really ends up happening) both gave him the "kiss of death" by proclaiming this was a great signing for the Jags. I expect a play-off appearance. The defense is still intact and relatively young. The offense will have a new coordinator and Foles is familiar with him. We did have a ton of injuries along the offensive line as well last year so it'll be a fresh start for a lot of guys. His contract may not have been as massive as Kirk Cousin's deal was last year. But from what he's saying and from what the front office is saying, along with his success in Philadelphia. The expectations are high. If they can manage a play-off appearance in 2019 it would go a long way in appeasing the fan base here locally. When you're winning. Everyone tends to shut up and enjoy it more. Imagine that! Funny how that works eh?!? The question is about what you expect Foles will actually bring to the table, not what you need to see to justify his contract. Tried to make that clear. It's a team sport but weaknesses can be masked with outstanding quarterback play. Remember, Bortles was lighting it up the first part of 2018 and then injuries started to pile up. The QB changed but the situation remained. During a recent interview, Foles seems to give himself an out by stating the O-line is vital to performance. Even more so than TE or WRs. With that said, unless the team can remain as healthy as 2017, I don't believe he'll be much of an improvement, maybe slightly better. As far as what he'll bring to the table? Better game management. Better poise in the pocket. Cleaner releases from the pocket that actually clear lineman's helmets and hands. I expect to see a significant cut back in turnovers. The TE position is fixing to be a lot more utilized and involved in the passing game because of his history and Flip's history as a play caller as well. Once he starts practicing and flying around with this defense during training camp he'll more than likely get that into his head early where he can say to himself "Hey... I don't need to force this pass in that situation because my defense can get this football back for me in time". Hopefully next week they'll start adding some big name prospects on offense too that will make him feel all warm and fuzzy inside. I am optimistic. I can live with it. Just win. 11-5, AFCCG at minimum. Foles goes for 4500 yards, 30 and 9. Foles won't being much to the table. Hes a career backup who had one nice season in Chip Kelly's system, which was flukey because it was the first time the NFL saw it. His Super Bowl reminded me a.lot of Eli Manning's super bowls. A sub par QB riding the coattails of a strong defense and a hot streak in play to a SB Championship and subsequently being extremely overrated by casual fans. Thats tough to say because he has never played with this Jags team. I can see what he did with the Eagles and their offense but nothing here yet. My expectations are to make the play offs. The team is good enough to get there and with improved quarterback play I believe we can get there again. 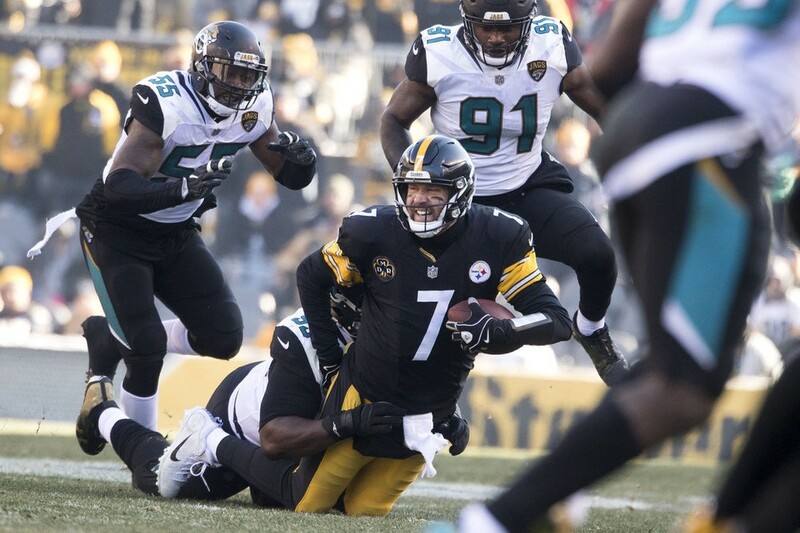 (04-17-2019, 01:15 PM)NYC4jags Wrote: The question is about what you expect Foles will actually bring to the table, not what you need to see to justify his contract. Quote: I just want to know the expectation, thats all. Now it's too tough an ask? How 'bout you put all that "football knowledge" you were going on about to good use and give us a prediction of what Foles can offer the Jags offense. I went with better than Bortles and hope for the best.